Happy Friday! What a week it’s been, and it’s not quite over yet! So let’s dig into the price action of the last few days and take a look at what we might be in for at the opening bell. After a bumpy start, bulls have battled back and managed to make another day of solid progress. 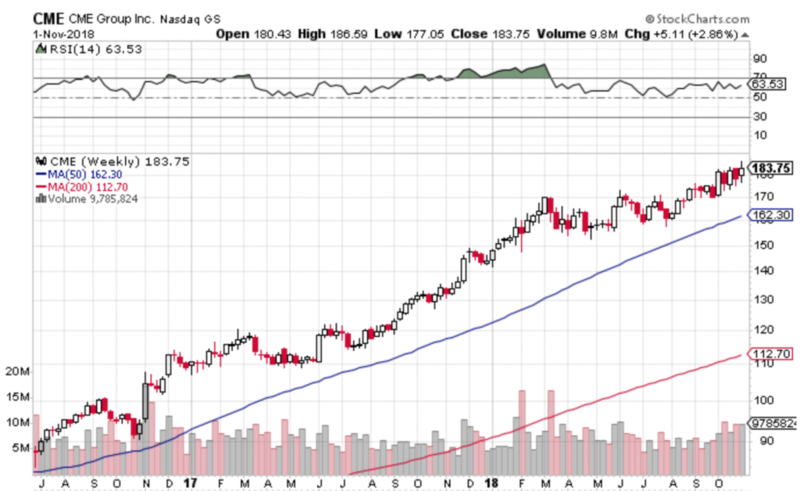 From small caps to tech stocks to emerging markets, we saw a broad bounce with wide participation. In fact, the only asset that took a dive was the US Dollar! And if the mighty dollar continues to weaken this morning (whether because of Brexit progress or any other excuses) we could see more follow-through as this trend tempers. It might also help explain the exuberant bounce in emerging markets we saw yesterday. So given the Dow has rallied over 900 points the last few days, and with futures shaking off a negative reaction to AAPL results, the question on everyone’s mind is whether this bounce can continue. Has This Market Correction Run It’s Course? Even though I’ve added a few longs to my portfolio this week, I haven’t been as overtly bullish as you might expect. The reason for this is not because of where we are, but where we’ve come from. More specifically, stocks as a group were quite oversold coming out of October. But they are now racing straight into overhead supply, which may present headwinds. But as the data in one of the further reading articles suggests, a retest of the current lows has happened 50% of the time when we’ve seen this degree of pullback. So while I’m encouraged by positive China-US trade headlines and this morning’s strong jobs number. But personally, my first area of focus is always on protecting capital, so I like to err on the side of caution in these cases and redeploy cash carefully. So all that to say, it may take a few days for the next building blocks of trend to take shape. But I’m willing to be patient as we watch if price rolls over as it runs into support, or bases out and continues higher. I’m open-minded to either scenario and with lots of dry powder I feel well-positioned for whatever happens next. IWhere we close today on the weekly charts will be another piece of important evidence, so stay tuned. Despite the best intentions, some trades just don’t work out. And EC is but the most recent example. Because shortly after pulling the trigger on this one the market as a whole reversed. 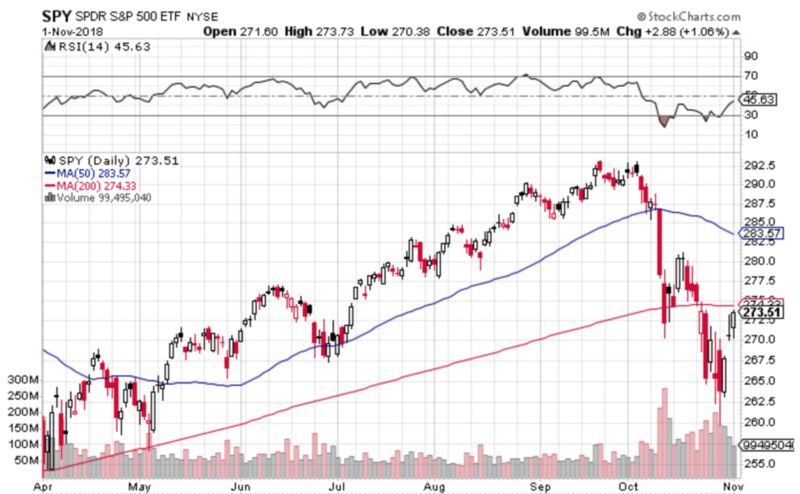 And even though we’ve seen a broad bounce the last few days, EC simply didn’t participate. 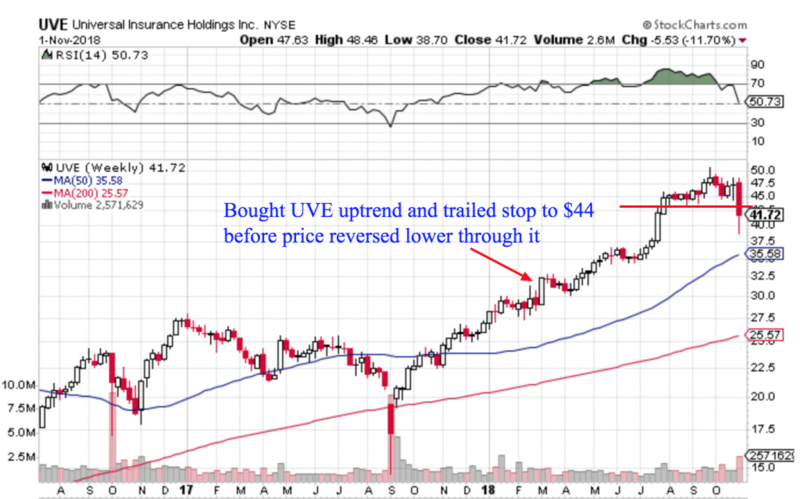 In contrast to the trade prior, UVE was a classic trend following success. But like all good things, trends eventually come to an end. 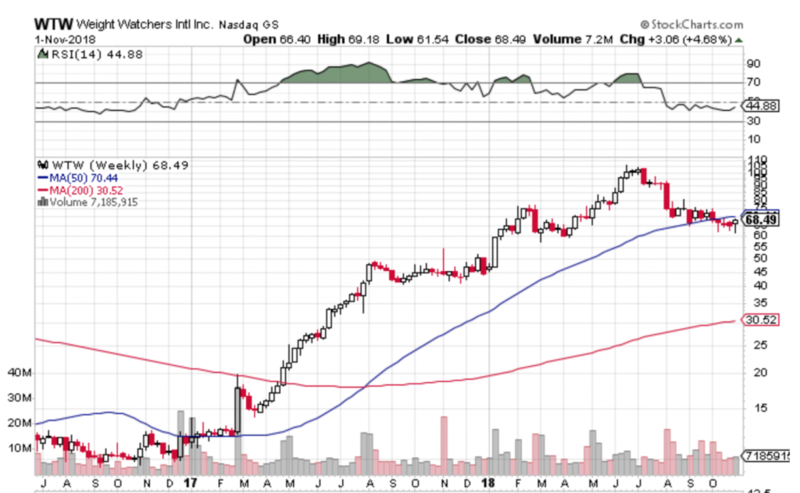 So after a violent weekly chart reversal I’m happy to book this one and move on. If it does recover, consolidate and keep trending higher again I’m always happy to jump back on the trend. Now with the market acting well, I’m happy to keep taking entry signals. And the stock I settled on today was DG, which made it to the top of my S1 screening this morning (as I already own many of the other names that came up!) 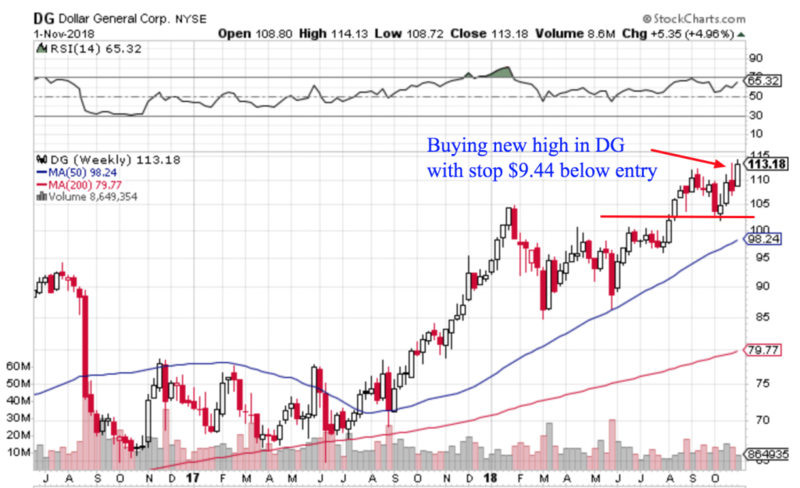 So plain and simple, I like the way DG has broken out of the recent consolidation and I’m optimistic it can keep running with the chart back at new highs. Here are the details on how I’m planning I manage this trade. Now if that trade idea doesn’t tickle your fancy, fear not. 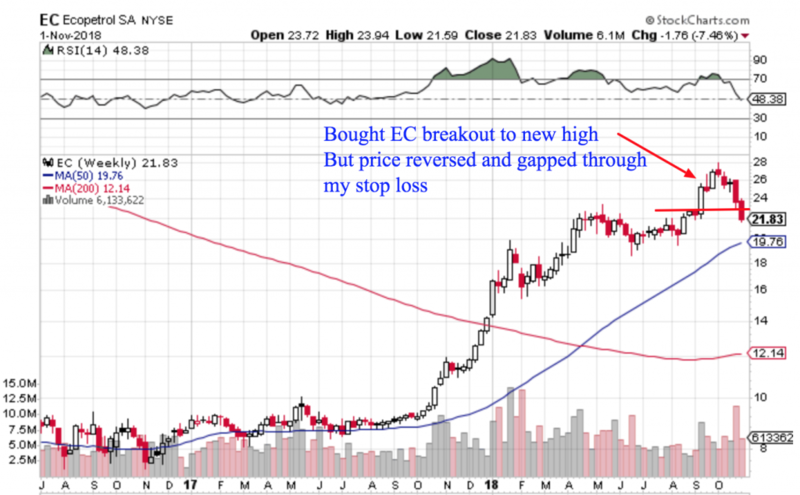 Here are a few other charts that are perking up into the final trading day of the week. 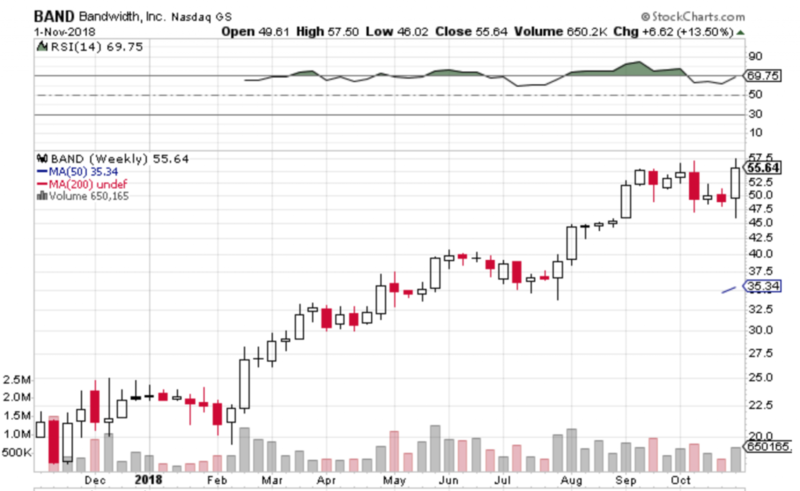 BAND continues to hold up well with the stock near all-time highs. If this can finish the week on a positive note I’d be curious to add to my position, as it’s definitely one of the most resilient looking charts out there. CME is another holding that’s been able to hold up well during the recent correction. With the stock inching back up to new highs I’m optimistic it can keep trending, especially if the market has bottomed for now. 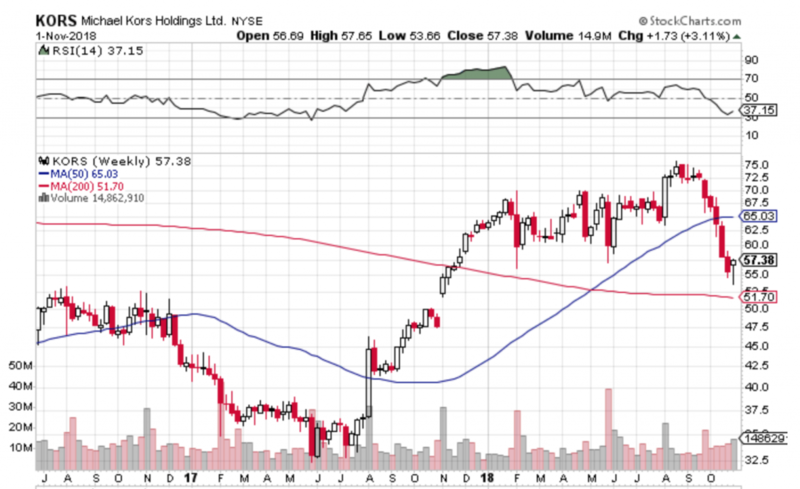 KORS isn’t really my style of chart, but for those of you who like to buy dips and trade ranges, this might be worth watching today. It’s caught a few upgrades from analysts and looks like a short-term bottom might be in. 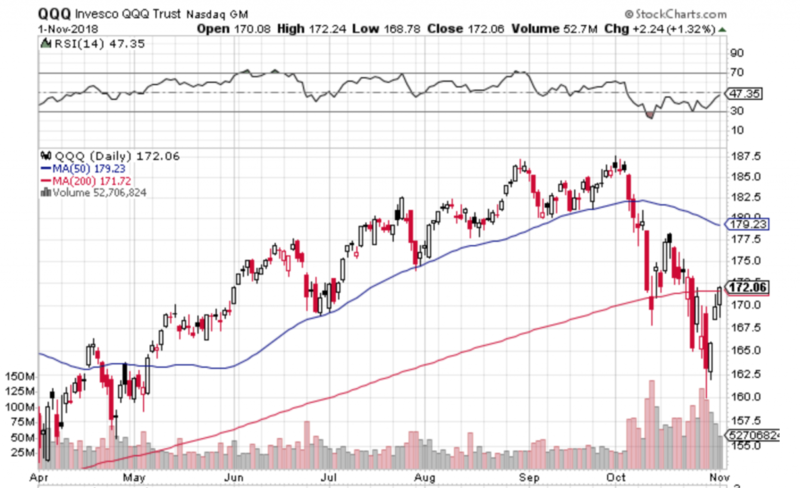 WTW is a short idea to watch if the market tarts to roll over again. The company missed earnings and is down big in the premarket. Based on how much this one trended higher, I think this could be the beginning of a new downtrend. Alright, that’s it for now! Let’s see how things shake out at the close and I’ll be back at the same time Monday with another update for you. For more commentary and ideas throughout the day, you can find me on StockTwits and Twitter sharing ideas. Any questions or ideas of your own? You can shoot me an email or comment below. Happy trading!